Cleanview Window Cleaning - Residential Services - Cleanview Window Cleaning is the premier window washing and cleaning service in Broward and Palm Beach Counties. We provide both residential and commercial cleaning services. Cleanview Window Cleaning offers a wide variety of residential window cleaning services. From high-rise condo units to multi-story mansions, Cleanview has seen and cleaned it all. 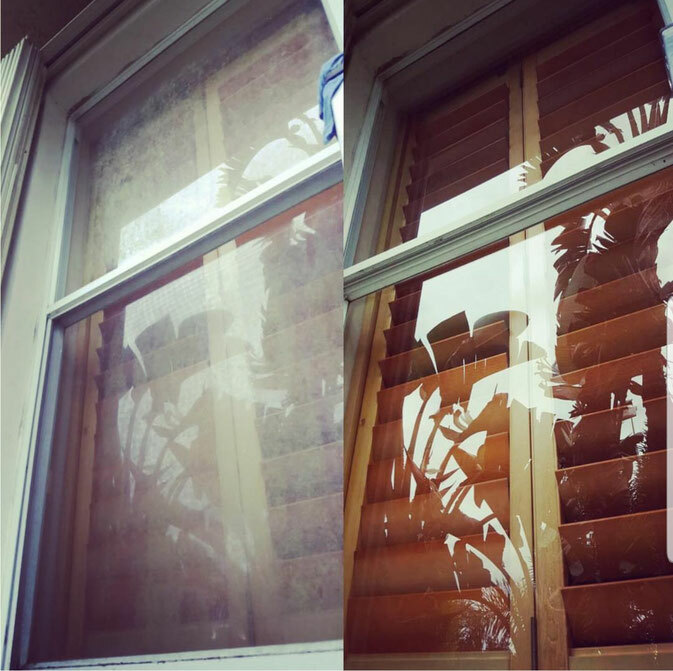 Our highly skilled window cleaning professionals will treat your home with extreme care. Our first step will be to remove and clean all screens. This involves scrubbing them with our professional grade soap which will assist in removing heavier build-up and stains. We will begin by giving the glass a complete scrubbing. It is important to note that all glass is cleaned with a professional grade cleaning solution that is both safe and more effective in removing hard water stains. Next, we will use our squeegee to remove the cleaning solution. After that the windows are detailed using a 100% lint free cotton cloth to ensure the glass is both drip and streak-free. After cleaning the actual glass we will give the tracks a complete wipe down to ensure there is no residual water left behind.